Heritage Hotel Management is delighted to announce the appointment of Kylie Shaw as conference sales executive, based in its corporate headquarters in Auckland. Reporting to Shelley Eastwood, the director of sales, conference and incentives, Kylie will be working with clients to match the right Heritage property to their event needs and focusing on ongoing follow-up and support. Previous to this role, Kylie was sales executive at Hermitage Hotel, Aoraki Mt Cook, where she actively promoted one of New Zealand’s most iconic destinations to both domestic and international clientele, developing strong business partnerships. 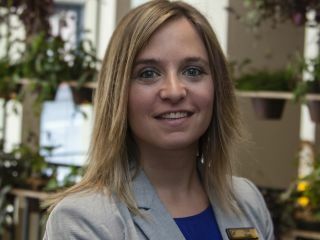 She completed a Diploma in Ski Resort Operations at the Georgian College in Ontario, Canada, as well as the NZQA National Certificate in Tourism and Snowsports. Alongside her professional and educational accomplishments, Kylie loves giving back to the local community and her volunteering experience includes at the AMEX Queenstown Winter Festival, Banff Marathon, and the New Zealand Audi Quattro Winter Games. Heritage Hotels has 18 hotels in key locations, offering a venue for every occasion – from the adventure paradise of Queenstown to the big city excitement of Auckland. Heritage Hotels is the acknowledged industry leader for its versatile conference and accommodation packages in New Zealand, with the flexibility to cater for small meetings or large conferences, as well as corporate retreats and ‘away days’.